I attended Madonna University, where I received my Bachelor of Science Degree in Mathematics and an Early Childhood Endorsement. I have been fortunate and blessed to be teaching at St. Joe’s for 19 years. 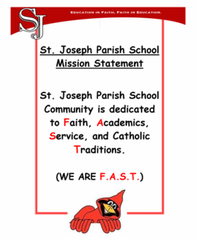 As soon as I started here, I felt a connection to St Joe’s and a unique sense of community that exists among parents and staff. I love teaching Kindergarten. Some of my favorite times with my Kindergartners are watching them grow, seeing them build friendships with others, marveling at their creativity, and simply enjoying their play. I am married and have 3 grown children. I was also very lucky to be their Kindergarten teacher here at St. Joe’s. 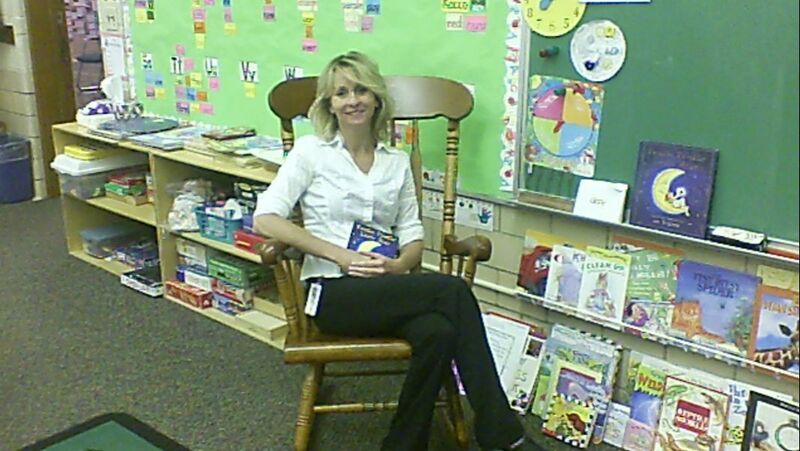 When I am not teaching, I enjoy reading, being outside, watching and playing sports. I also love music and good movies. Our 8th Grade Partners helped us make Easter Baskets. We sent a letter to the Easter Bunny. We hope he puts some candy in them. Officer Groat and Ice were our Guest Readers today! Getting ready our to go outside for our Energy Experiment! Look at the Characters in our classroom today! It was a lot of fun dressing like our favorite Book Character! Sight Word BINGO is so much fun! Working hard at Composing Numbers 11-19! We were very excited today to make Valentine Boxes with our 8th Grade Partners! What a great day we had counting for the whole school, having 100 snacks, doing 100 exercises and making 100 bead necklaces. In Science, we used glitter to show how germs spread. We have AWESOME READERS in Kindergarten! Gift wrapping, with Trenton Fire Fighters, to help a family in need this Christmas! We are thankful for our 8th Grade Partners. Thank You to our Special People for going to Church and playing BINGO with us! Fire Safety with the Trenton Firefighters! Making Jack o' lanterns with our 8th Grade Partners! Prayer Retreat with Ms. Dennae! This week in math, we have been working on patterns. It was a beautiful day for our field trip to Wiard's Apple Orchard! This week in Science we learned about apples. After tasting a Granny Smith, Golden Delicious, and Red Delicious apple, we graphed our favorite apple. We are using our PAWS Folders to learn about letters and letter sounds. We even spelled a couple words. We will take care of God's creation! Project Time in Science. We learned about safety. We held a piece of ice in our bare hand and a gloved hand to see which hand felt colder first. We were excited to meet our 8th Grade Partners! We used all 5 senses that God gave us to investigate popcorn in Science. We learned that it takes 3 small cups of kernels to fill up our popcorn popper with fluffy white popcorn. We are using play dough to make secondary colors with primary colors. Welcome to your classroom, Kindergartners!